Google Maps and Catlin Seaview Survey team up to take you underwater - for science! There's something magical about a reef; it's like seeing the planet through the eyes of an alien, as you navigate clumsily through a colorful new world filled with life and movement. Catlin Seaview appreciates that not everyone gets the chance to see what they see, and to compensate it has teamed up with Google Maps to create underwater panoramas for everyone to enjoy. Catlin has a dedicated YouTube channel as well as its panoramic vistas of Heron Island, its current Australian base, and the waters around it. 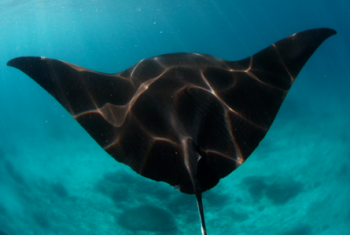 Visitors can visit Heron Island virtually, seeing all its underwater beauty first-hand. The site even features a Virtual Dive Mode, imposing a mask on the panoramic shots for those who want that added touch of realism. Some of it is filmed by human teams using experimental cameras, but Catlin uses robots for the full fathom five moments. It's all part of a long-term project to increase awareness of oceans and the role they play in planetary survival. "They regulate the climate and make our planet habitable," says Catlin's website. "They are integral to our very survival, yet for all of our reliance, they largely remain as they have always done, out of sight and out of mind." The more people who see what's out there, the better it is for science; so Catlin decided to take you there and let you explore for yourself. Catlin Seaview is sponsored by Catlin Group, a reinsurance firm with an interest in risk management and therefore environmental issues. Heron Island is just the first in a series of targets Catlin Seaview intends to film. Hawaii, the Philippines and Bermuda are next on Catlin's coral reef itinerary.